Bought a huo south park with LEDs and mirror blades. 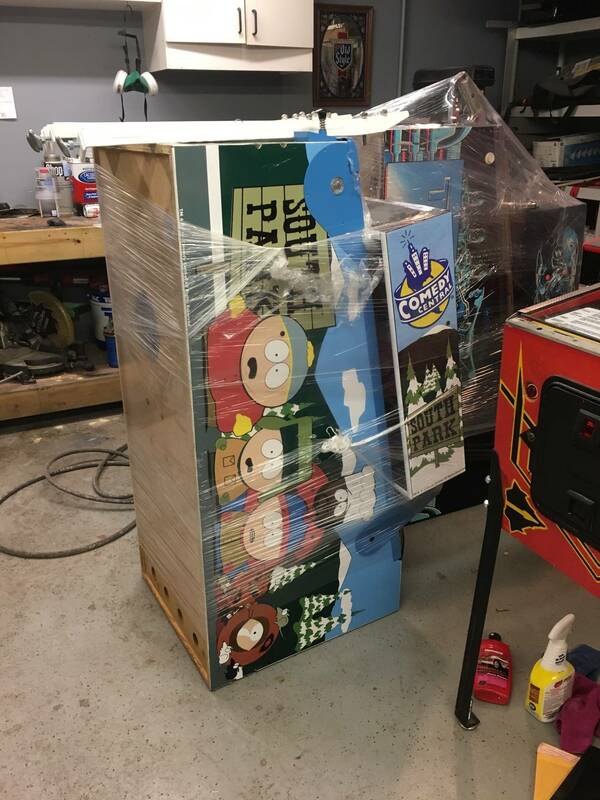 Wondered now if I paid too much, what is huo south park worth? Depends on condition. HUO isn't an accurate descriptor of value. OK. Near mint. with LEDs and mirror blades. Put a Color DMD in that bad boy and enjoy! A mint SP would sell for $3,500, just not instantly. The game does great on rout by the way, per all reports, most are totally blown out. I haven't seen even a decent condition in a long time. Bought my custom SP back yesterday! 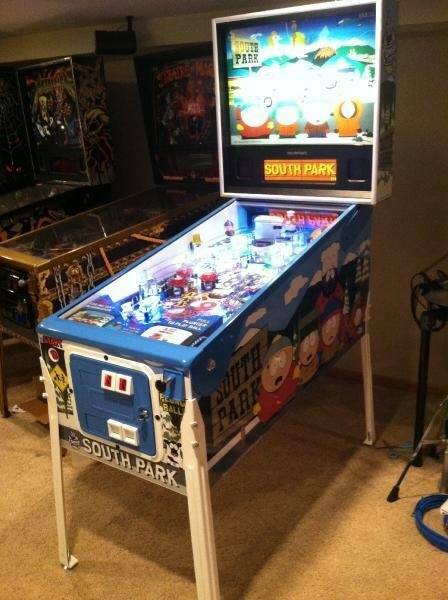 Sold it 3 years ago for $3300, and I thought that was a lot. It's amazing how this title has shot up in value in a short time. No idea what it would go for today, but I'm guessing north of $3500. I sold my true HUO SP without a scratch on it, no extended rails to cover flipper wear, and zero out hole or Kenny wear for 4k. ( It was truly a rare find and perfect like it just came out of the box ) I also had the original receipt. Just covering the sides makes me sceptical of it being perfect to a person willing to pay that for one. Nice game though but the color scheme is not me. I've seen routed ones at Coinopwherehouse go as low as $1,500 complete, I would say in good shape around $3,000 max.